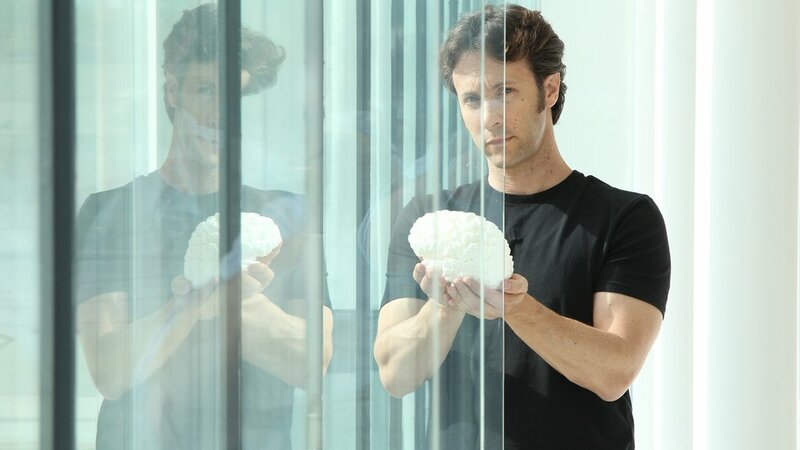 I greatly admire David Eagleman for his little book "Sum" and for his excellent TV documentary series about" The Brain." He's a deep thinker, a neuroscientist and an excellent communicator. But "here's the thing," as he likes to say when he unleashes another fascinating insight upon us. At one stage in his documentary, he talks about the demonstrable fact that many of our actions by-pass the conscious self, either because we respond too quickly, or it's an instinctive reaction beyond the reach of conscious thought. My example comes from cricket: a batsman facing a fast bowler has 1/5th of a second to "decide" what stroke to play after the ball bounces. He has no time to think about anything much, it's all in training and preparation, and stroke selection before the ball lands in front of him. 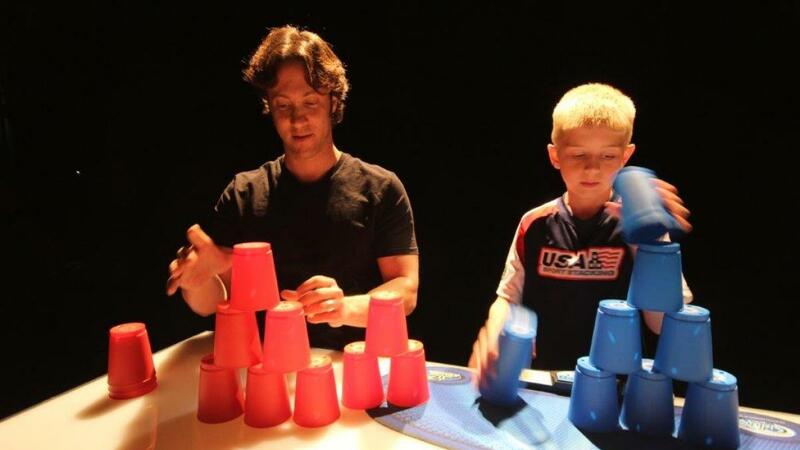 Eagleman uses a scarcely believeable sequence of a young boy doing tricks with plastic cups, and afterwards the boy says no, he doesn't think about it at all, he's just trained himself to do it, speeding up bit by bit until it's automatic. 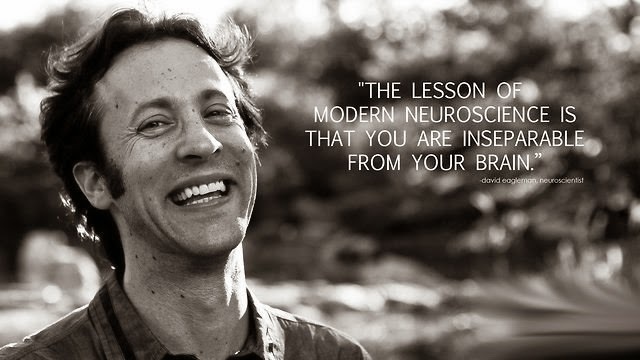 Eagleman describes how a child's brain develops, and becomes an individual consciousness, a mind. And how each morning when we wake up, we re-build, super-fast, our self-awareness, our sense of self. 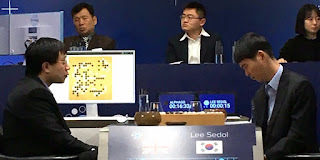 And how our memories are not a storage cabinet, but are also re-built from established patterns of connections between brain cells. So a mind isn't a thing, it's one of the things a brain does, all the time when we are awake. We are, as I have banged on about before, processes, always changing. We change our memories as we revisit them. The idea of the self as a thing, a constant, is a misleading illusion, as a north Indian sage realised in the sixth century BCE. And now neuroscience seems to be backing him up. So far so good. Our brains and our bodies are a continuous system, cycling stuff around, and sometimes - often - our conscious minds are unaware of stuff we do. 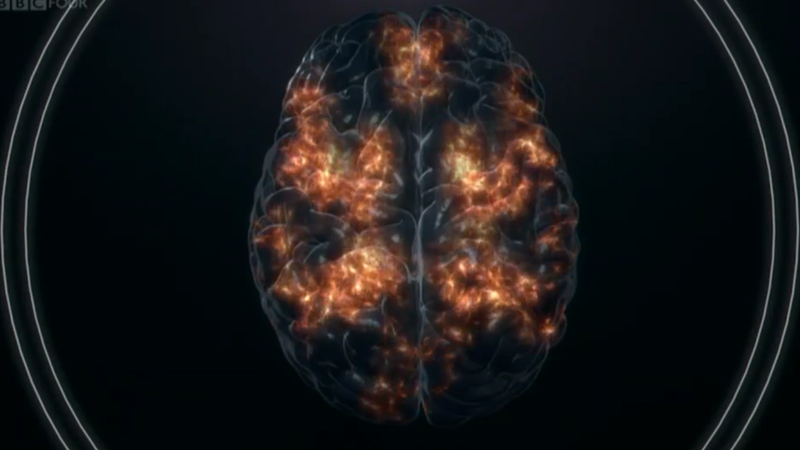 Our emotions are an essential part of this brain/body cycling. He showed us a woman who as a result of a brain injury (motor-bike accident) lost most of her emotional capacity in the area of decision-making. She suffers a lot because of it, because the smallest decision is extremely disturbing for her. We need our emotions to help us decide things. Reason plus emotion = a decision. That's why pure and absolute objectivity is impossible. He also shows us how our bodies respond to emotions before our conscious minds do; an emotional response is rooted in our bodies. We may sweat, the electric conductivity of our skin may change, our eyes may show widening irises when someone attracts us, and "we," our conscious selves, our egos, know nothing of this. It's a body/brain response, not a mind/self-aware ego thing. But in this final last episode, he starts down the road of ways in which we could re-create the entire neurological activity of a brain. (Watch it on iPlayer if you are interested, it's good stuff.) If a brain is what it does, not what it is, maybe we could capture that unbelievably complex neurological totality and upload it. We wouldn't need "the wet stuff," as he so charmingly calls it! We would have immortalised a brain. We could defeat death....Oh dear me no, did he really say that? Now we are surely talking misleading illusions again. Firstly, you might upload the totality of neural patterns, but that isn't a brain, nor a mind, nor a person, because all those bodily interactions aren't there. He's shown us that earlier in the series. We may be no more than a vast complex of tiny electro-magnetic interactions, but those interactions need to be in a body if they are to be a person. And secondly, people - us - are built in time and end in time. I can't imagine what it would feel like to be a mind (of a sort) in a machine that wasn't time-bound. Or maybe I can: it would be called hell, it would be a kind of eternal madness. We, the people, are life, we are death. Or we are not people. Who wants to be a brain that isn't a person? You said it, David! My mind is all of me, not merely the pattern of my neurons - it works both ways. Give me life, give me death. Let's separate the sci-fi from the wonders of reality. Let's accept the miracle of our mortality. Let's stop pretending that we won't die. If we can do that, we can really live. Now. In this moment.